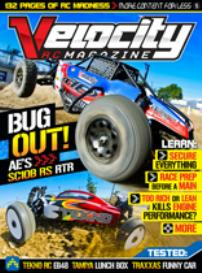 Issue #30 of Velocity RC Cars Magazine is available for instant download. 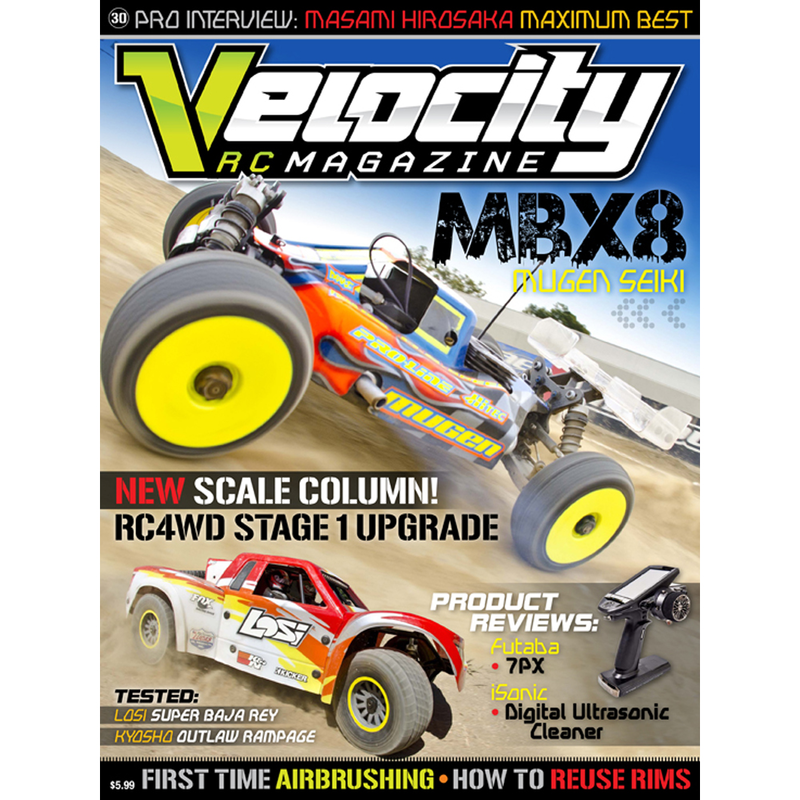 That’s right, you instantly get over 130 pages of RC excitement right on whatever device, or desktop you are using for cat videos. 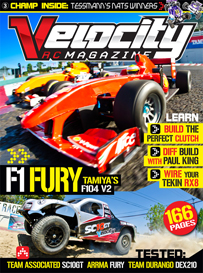 Our PDF version means you can save it and view it in stunning detail with any PDF-Reader. This issue is packed with awesome. We test the new Losi Super Baja Rey, the Mugen MBX8 and the Kyosho Outlaw Rampage. • Masami Interview - Vintage kits? We got vintage people! • Scale Column - Details? 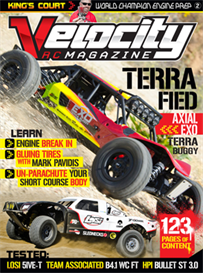 We get a woody with the RC4WD TF2 RTR. • Paint better than your kid - If you have one. If not, you are the best! • Reuse your rims - Save money to spend money. • Upgrade to bearings - Because all kits still don’t come with bearings. • iSonic Ultra Sonic Cleaner - When sonic wasn’t good enough. • Futaba 7PX Review - Better than the iPhone?